Whenever I hear a reference to elegance in perfumery, I invariably think of Christian Dior Eau Sauvage, because few existing fragrances are as exquisitely refined as this composition by the great perfumer Edmond Roudnitska. Of course, elegance can be achieved in a number of different ways, but the effortless, streamlined sophistication of Eau Sauvage has an immediate appeal. In many ways, the beauty and the genius of this fragrance lie in its perfect balance: a balance between different elements of the composition, between simplicity and complexity, between artistic merit and pure pleasure. Eau Sauvage is one of those rare perfumes that have plenty to say, but that are easy to understand. Each era had its own scent, and some fragrances weathered the time better than others. Whenever I smell Eau Sauvage, it is hard to believe that this fragrance will celebrate its 50th birthday in 2016. It possesses the airy, luminous quality that is prized and widely imitated today, and in fact, one of Roudnitska’s contributions to perfumery was the introduction of radiant effects. Considering that Eau Sauvage still remains an important trendsetter in masculine perfumery, it is not surprising to discover that many citrus-herbal blends, from Nina Ricci Signoricci 2 to Carolina Herrera 212 Men, pay tribute to it. The effervescence of Eau Sauvage is set by bergamot, lemon and basil, which form an exhilarating prelude. The classical cologne idea behind Eau Sauvage can be seen in an earlier Roudnitska creation, Christian Dior Eau Fraîche (1953,) where the orchestration of citrus, bright green herbs and violet tinged woods has a springtime freshness. Compare Eau Fraîche to Eau Sauvage, and suddenly something becomes very obvious—for all of its brightness Eau Sauvage has a subtle, but distinctive animalic undercurrent. 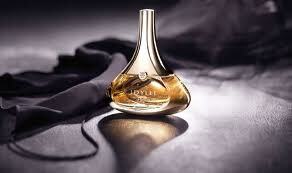 And while you are comparing Eau Sauvage to Eau Fraîche, pull out a bottle of Diorella. A few years later in 1972, Roudnitska elaborated Eau Sauvage’s idea to make an even more sensual composition built around the same fresh, watery concept. Eau Sauvage is often mentioned as the first fragrance pioneering the use of the lemony jasmine note of hedione. In fact, hedione is used in only trace amounts in Eau Sauvage, in contrast to most fragrances today that use it in much higher proportions. While hedione gives a novel airy quality to Eau Sauvage, it is not what makes this fragrance special. The most magical part is the perfect harmony between the disparate elements that result in an original and beautiful impression. Much like Monet’s wide strokes of green, purple and orange magically produce a vision of a bridge over a lily filled pond, the citrus, bitter herbs, and damp woods of Eau Sauvage evoke the crisp white shirt and warm skin of someone irresistibly attractive. The seductive timbre of moss and the indolic twist of jasmine that give Eau Sauvage its deliciously dark facet have been reduced in the current version, along with the clove like warmth in its heart. Today, it is closer to a classical citrus cologne, and the warm skin sensation that I loved about Eau Sauvage is not as obvious. Nevertheless, I still find Eau Sauvage an excellent fresh citrus fragrance, and although it is marketed to men, women should explore it, especially if they enjoy Jean-Claude Ellena’s colognes for Hermès. Eau Sauvage also has two siblings, which occasionally show up on Ebay and various discounters at bargain prices. Eau Sauvage Extrême (1984) is a richer citrus blend, with dark amber notes lacing the drydown. Also, the floral twist is more honeyed as compared to the lemony jasmine brightness of the original. Eau Sauvage Fraîcheur Cuir (2007, now discontinued) was an interesting leather dominated interpretation of Eau Sauvage, with iris and warm spices lending it a velvety effect. Christian Dior Eau Sauvage contains notes of lemon, petitgrain, rosemary, jasmine, lavender, basil, hedione, vetiver, andoakmoss. Available from most retailers and Christian Dior boutiques. 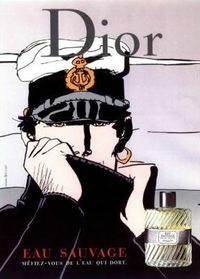 Image: Dior Eau Sauvage, Corto Maltese.  Sample: I’ve compared several versions of Eau Sauvage from the 1960s, 1970s and 1980s with the fragrance sold at Saks5thAvenue Dior counter today. Suzanna: This review is a triumph in perfume writing, V.
Victoria: Thank you, Suzanna! Writing about classics is intimidating sometimes–so many stories, so many details… And reformulations, of course! Victoria: In the perfumery school, Eau Sauvage was my favorite fragrance to duplicate. It is just amazing how it is put together. Victoria: Cepes and Tuberose by Aftelier! It is dark, dense and earthy. Bert Keuken: Nice review of Eau Sauvage, Victoria. I sampled Eau Sauvage a couple of times last year and must say it really grew on me. So when in France I did like the French have been doing since 1966 and bought myself a 100ml bottle of Eau Sauvage. Lovely stuff, works really well in the heat of summer too. Eau Sauvage recently had another sibling in the form of Eau Sauvage Parfum, but there’s another little known one. Eau Sauvage 100% Glacon (AKA 100% Cooling Effect) is a limited edtion release from 2001. It’s a kind of summer version of Eau Sauvage. How does it smell? Well there’s menthol and good old Eau Sauvage further down the road. I believe it’s closer to vintage versions of Eau Sauvage than the current Eau Sauvage on offer from Dior. I bought the last two 200ml bottles (cheaply!) from a Portugese webshop.